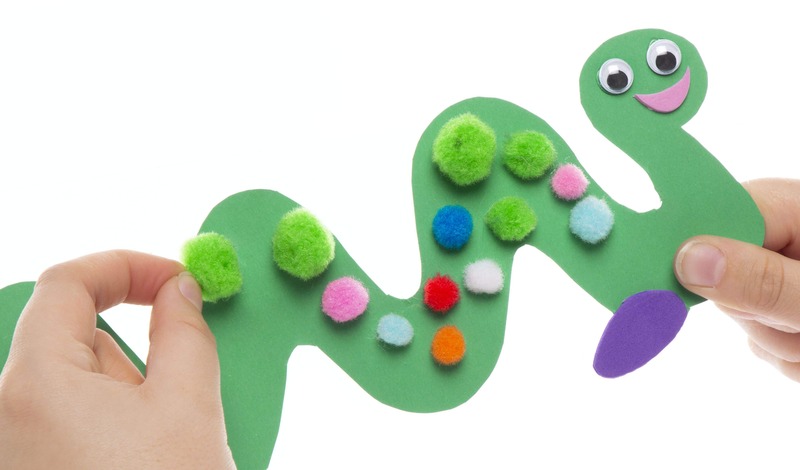 Have fun with this colourful and wiggly Nessie, a playful and pom-tastic toy for all ages. 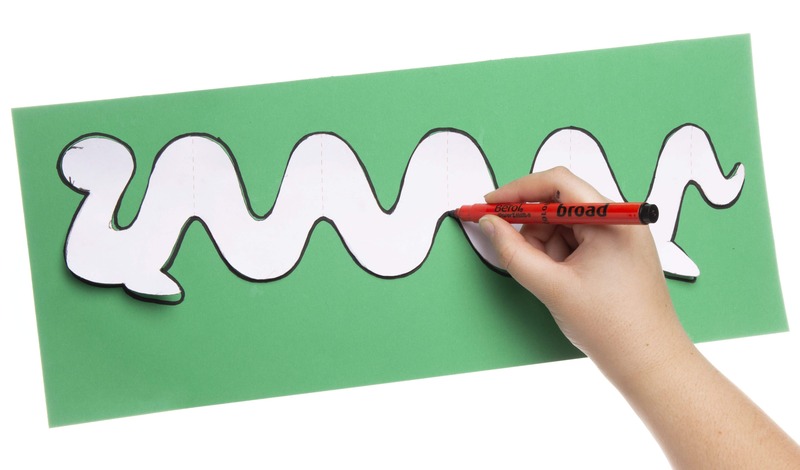 Download and cut out the Loch Ness monster template. Trace the template onto green A3 card and cut it out. 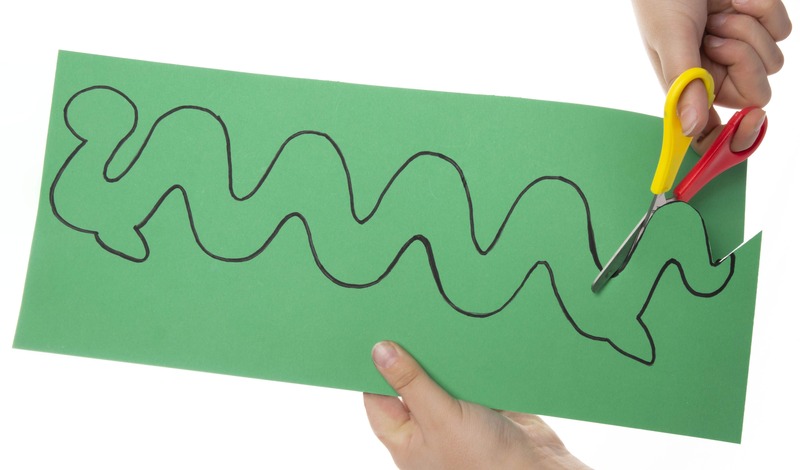 Flip over the cut-out Loch Ness monster puppet body so that any trace lines are on the back of the puppet. Squeeze a small amount of PVA glue onto the end of a green wooden craft stick and press it to the are joined together. Repeat this so that you have 2 long green sticks and leave to dry. Trace the edges of the monster’s fins onto purple self-adhesive foam. Draw a connecting curved line from one edge of the fin to the other so that it creates a purple teardrop shape. Repeat this so that there are 2 purple fins and cut them out. Draw a small half-moon shape onto pink self-adhesive foam for the monster’s mouth and cut out. Peel the backs off the purple foam and stick the teardrops to each of the monster’s fins. Repeat this with the pink adhesive foam and stick down on the monster’s head to make the mouth. Peel off the backs of 2 wiggle eyes and stick them above the mouth. Dab small amounts of glue onto various places on the Loch Ness monster’s puppet’s body. Leave to dry. Turn the monster puppet over and wipe a small amount of glue to the head and tail. Press the sticks to the glue and leave to dry. 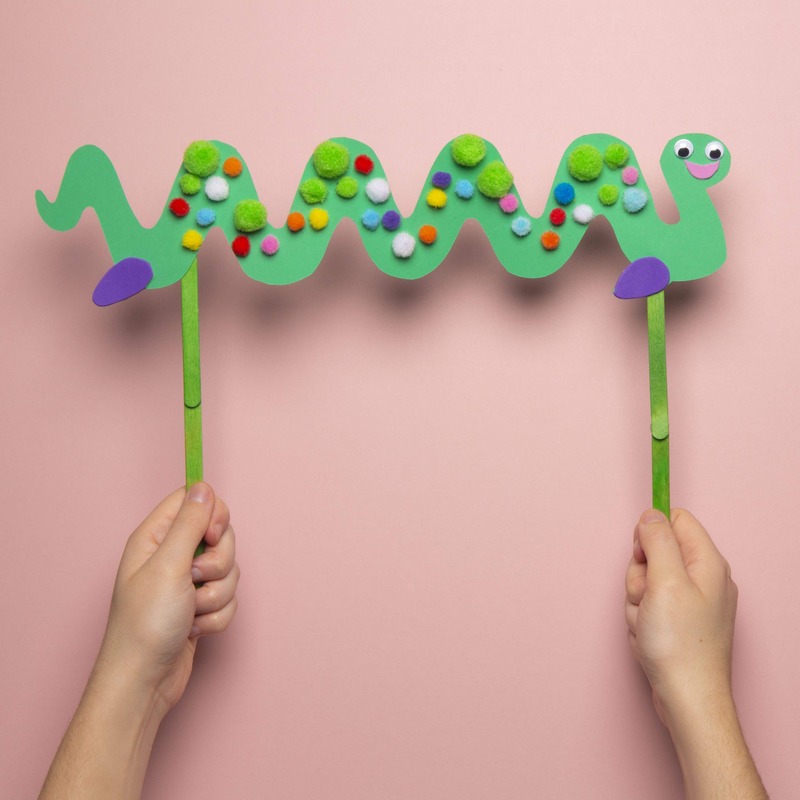 Replace the mini coloured pom poms and foam sheets with self-adhesive glitter pom poms and glitter foam to give Nessie a little bit of sparkle and shimmer.